Once again your humble ed-otter was lucky enough to attend the Annie Awards for 2015, presented at UCLA’s Royce Hall on February 6th. Presented by the International Animated Film Society (ASIFA), the Annie Awards honor the best of the animation industry — as selected by members of that industry. Surprising no-one, the night belonged to Pixar’s Inside Out. (It has already won almost every major award it has been nominated for, and of course it’s nominated for an Oscar as well.) 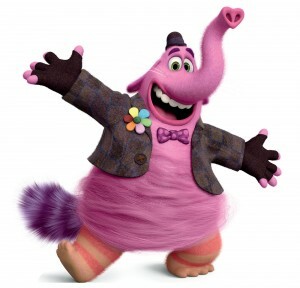 Inside Out won in the Best Feature categories for Storyboarding, Editing, Character Design, Music, Character Animation, Production Design, Voice Acting (Phyllis Smith as Sadness), Writing, Directing, and (of course) Best Animated Feature. Bing Bong himself even helped to present some of the awards. (*sniff* Bing Bong…) A few other features managed to sneak in awards, and some of them were even for animal characters! The Good Dinosaur won in the category of Best Effects Animation. (It’s been celebrated far and wide for its realistic backgrounds and water effects.) And The Revenant won Best Animated Character In A Live Action Production for the bear that nearly eats Leonardo DiCaprio. Over in the TV and other divisions, furries were well-represented in several award categories. Disney’s new Mickey Mouse Shorts won for Best Storyboarding, Best Music, and Best Editing. ASIFA favorites. Dreamworks TV had two wins, as Dragons: Race to the Edge won for Best Character Animation and The Mr. Peabody and Sherman Show won for Best Production Design. Previous Annie favorites Tumble Leaf and Wander Over Yonder won for Best Production for Preschoolers and Best Production for Children, respectively. Psyop (home of those infamous Orangina commercials!) won Best Commercial for their Coca Cola ad Man and Dog, and Best Animated Game went to the monster adventure Evolve from 2K. [To save space, tomorrow we’ll tell you about the special awards presented at the Annies — and why you should care!] You can find out more about all of these and more over at the ASIFA Hollywood web site.